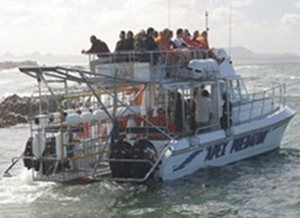 Shark Dive Africa offers shark viewing and diving trips in Gansbaai. We will arrange your transport to and from your shark diving experience. 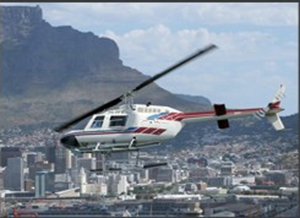 Choose from a thrilling helicopter ride from the V&A Waterfront or a personalised shuttle from your front door, or a shared shuttle from a central departure point at the V&A Waterfront. Gansbaai is known as the Great White Shark capital of the world. The channel between Dyer Island and Geyser rock off Gansbaai is popularly referred to as “Shark Alley”. Dyer Island is known as one of only two unique areas in the world.